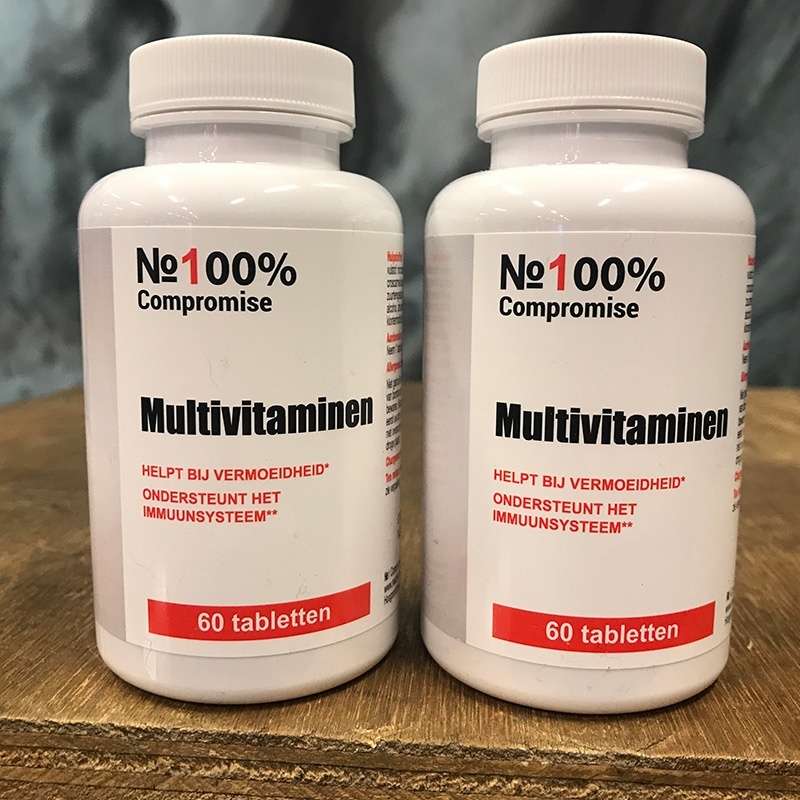 No Compromise offers an excellent choice of multivitamins which include full spectrum chelated minerals and active vitamin B complexes with a mix of antioxidant vitamins C and E to help to improve health in general. There is a variety of vitamins in each capsule, each batch is third party tested for freshness and purity. 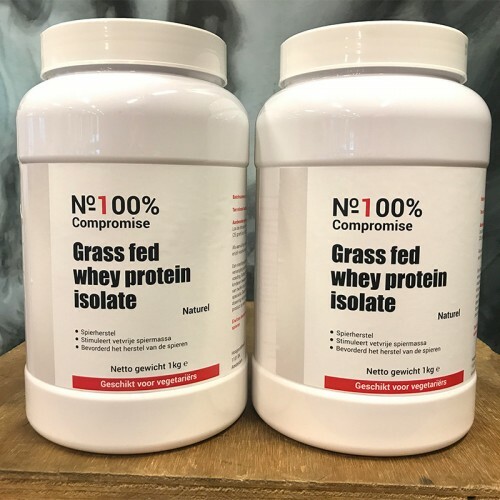 N0 Compromise multivitamins are easy on the stomach, well-tolerated and well-absorbed. 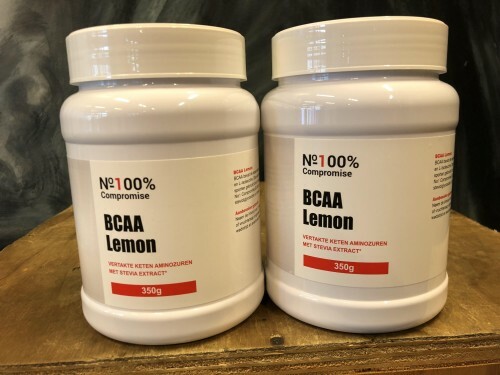 Can’t wait to get your supplements? Choose the local pickup option! Do not use during pregnancy or lactation. keep out of the reach of children. If in doubt, consult your doctor or specialist before use. Do not exceed the recommended suring. Keep this proudct in a dry place. 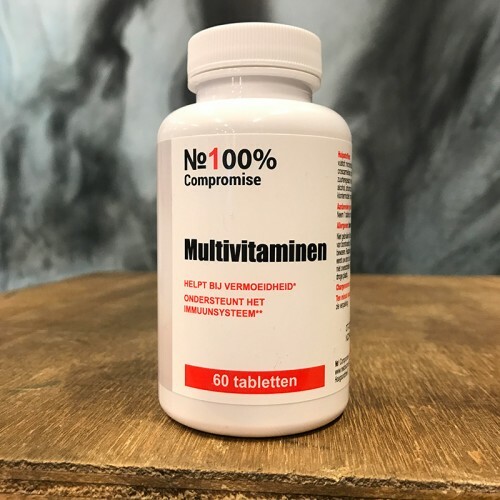 Ingredients: Vitamine C (ascorbinezuur) 150 mg (187,50% RDH), spice mix (contains alfalfa, rosehip extract, citrus, bioflavonoids, rutin, siberian ginseng, ecinea purpurea, spirulina, dong quai, oat bran, parsley, hesperidin complex) 130 mg, calcium (carbonaat) 32 mg, geisoleerd sojaeiwit poeder 100 mg, vitamine E (100 IE, d-alfa tocoferol) 67 mg (558,50% RDA), vitamine B1 (thiamine mononitraat) 50mg (4545,50% RDA) Vitamin B6 (pyridoxine hydrochiloride) 20 mg (1428.60% RDH), Vitamin B5 (calcium d-pantothenate) 50 mg (833.50% RDH), Vitamin B2 (riboflavin) 50 mg (3571.50 RDH), Vitamin B3 (niacinamide) 50 mg (312.50% RDH), inositol 50 mg, natural beta carotene (contains 6.5 μg, betaine HCL 12.5 mg, Zinc ** (oxide) 7.5 mg (75% RDH), Manganese (sulphate) 1 mg (50% RDH), soya lecithin 10 mg Vitamin B12 (cyanocobalamin) 500ug (2000% RDH), copper (oxide) 750 ug (75% RDH), biotin 50 μg (100% RDH) Vitamin D2 ** (200 IU, ergocalciferol prep.) 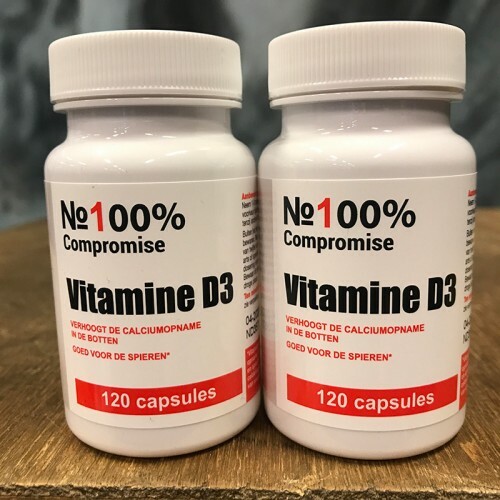 5 μg (50% RDH) Vitamin D3 ** (1000 IU, holecalciferol) 25 μg (250% RDH), L-omithine HCL 3 mg, selenium ** (sodium selenite) 12.5 μg (22.50% RDH), L-glutathione 2.5 mg, Taurine 2.5 mg, folic acid * (prep.) 200 μg (100% RDH), iodine (potassium iodide prep.) 75 μg (50% RDH), chromium (chloride) 12.5 μg (31.25% RDH).